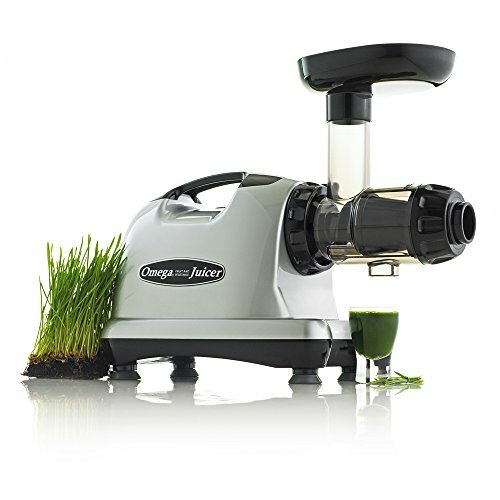 No complaints here, the Omega J8006 is an impressive juicing machine. The Omega J8006 is not only reasonably priced but also packed to the brim with torque and power. It’s a masticating style juicer that has got plenty of features and perks making it an excellent commercial grade juicer. The unique design of this juice lets it eat through plant fiber, extract maximum vitamins, minerals and enzymes for the healthiest drink possible. 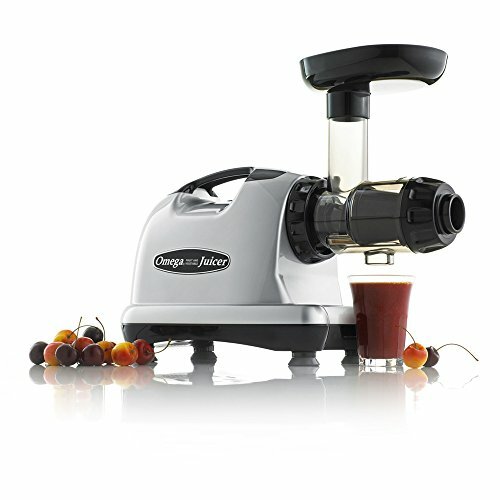 Dual stage juicing action is what differentiates this juicer from the rest in terms of efficiency and extraction power. A wider base, balanced nature and stabilized feet provides it with a dependable frame and durable work rate. 15 years of warranty sweetens the deal on the Omega J8006. 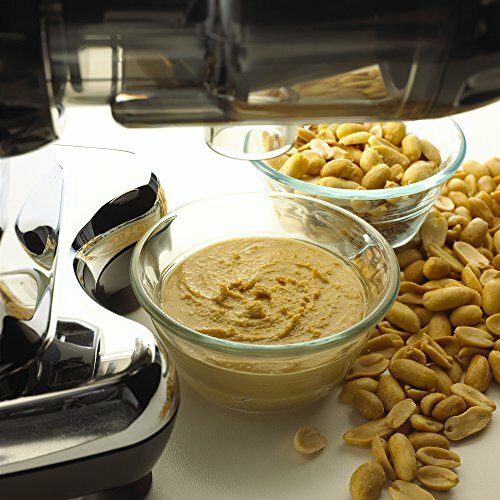 The juicer can reverse its direction in the event of blockage while its froth is cleaner and much reduced than before. For example, apple juice maintains a crystal clear nature because of its 80 RPM auger speed and reduced oxidation rates. Masticating juicers take a lot of time and are usually quite noisy. Other than these nagging features, I find them to be much more efficient and long lasting than any other kind of juicer. The Omega J8006 corroborates my views perfectly thanks to it’s extra high yield and drier pulp. 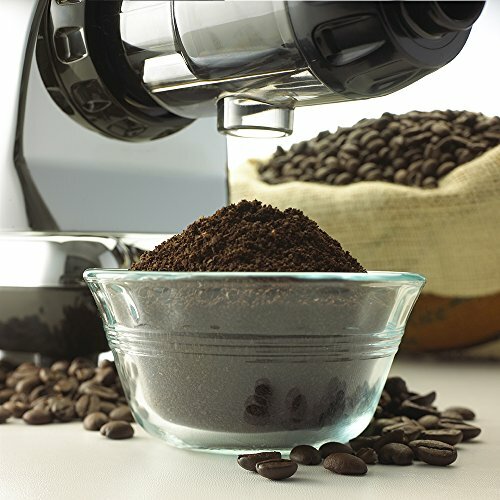 Its auger is made from the strongest materials known to the commercial industry, such that it can churn through coffee beans with ease. In fact, this powerful masticating juicer can eat through wheat grass, carrots and plenty other fruits or veggies without ever once feeling stuck. In the event that it gets stuck up on something, the reverse direction operation lets you remove pulp from the auger directly. Moreover, the dual screen filtration really does help retain maximum juice while extracting very dry and fine pulp. This also controls the foam output leaving back thin crystal clear liquid. The design makes it easier to clean up afterwards while ensuring that its not too noisy. Some of the problems with the Omega J8006 are its large chute design that is designed in an odd manner. Because of this minor design flaw you might have to cut down some fruits and vegetables to size. Naturally, this tends to add to the time taken to prepare juice. One other nagging issue with the Omega J8006 is the need to immediately clean it up after use. Otherwise, remnants of fruits tend to stick to the auger and sides making it hard to remove afterwards. Immediately the feed chute became an obvious questionable addition to us. The fact that it is smaller than what you would expect on conventional masticating juicers is in our view a good thing. Having to cut up our veggies and fruits actually helped us carefully plan out each juicing endeavour and so while many might find its smaller chute size a pain, we love it! 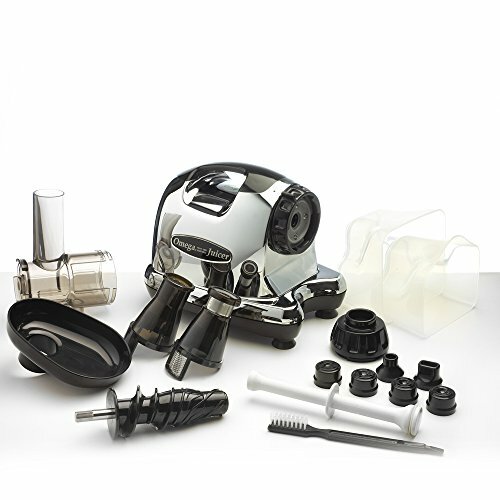 The J8006 cleanup can be broken down into four parts. First, the feed chute, second the blade, third the auger and finally the collection bin. Except for the auger, every other component cleans up quick and easy, provided you do it with hot water. The Auger tends to be harder to clean if it is not done immediately after juicing, which in our view is the only let down. The juice output is definitely brighter and bolder than with a centrifugal juicer and we hardly found any foam or froth in it, which is an excellent thing as it lets your juice stay fresh for longer. No complaints here, the Omega J8006 is an impressive juicing machine capable of squeezing every last ounce of juice from any produce. It is great with soft veggies and equally capable with the hardest fruits known to mankind. 80RPM and 2HP motor is probably what Omega believes to be an ideal power setting for all its auger juicers but we believe a bit more power would have definitely helped. Noise, the one word in the English dictionary a juicer is not well versed with. 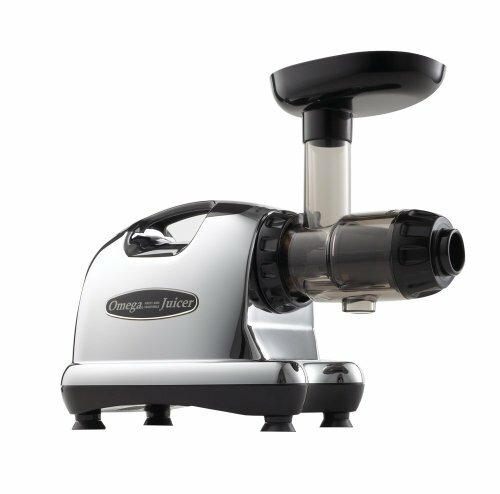 Omega J8006 because of its size and functionality is not as noisy as a centrifugal juicer but it still makes a big ruckus. 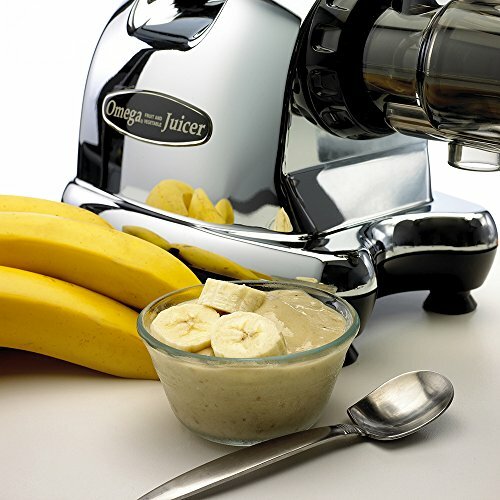 Masticating juicer at its best, Omega J8006 is affordable if you consider its long 15 year warranty. 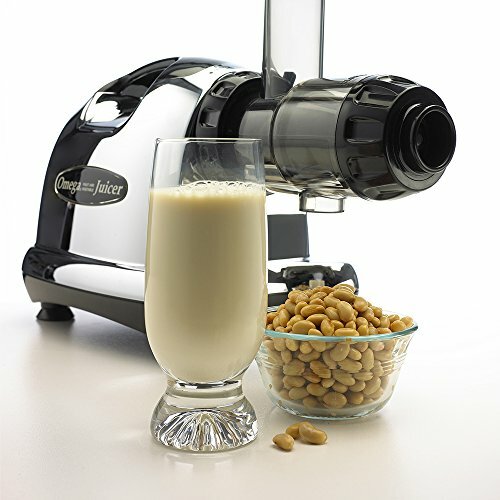 80 RPM speeds, extra-strong auger design and phenomenal extraction process makes it a dependable juicer for all. 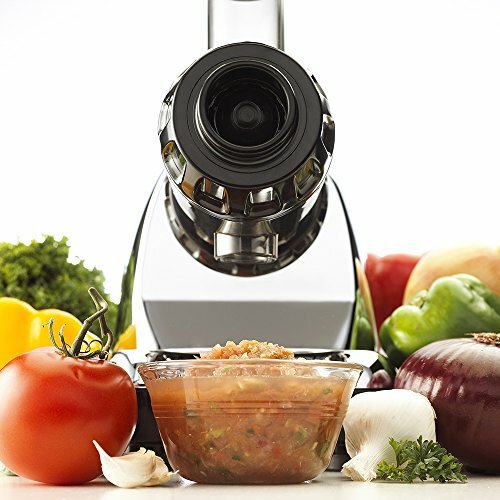 So, who can benefit the most from this masticating juicer? Anyone will find it useful, regardless of whether they like raw juiced extracts or not because its output, efficiency and ability to grind through every ingredient makes it worth the investment. 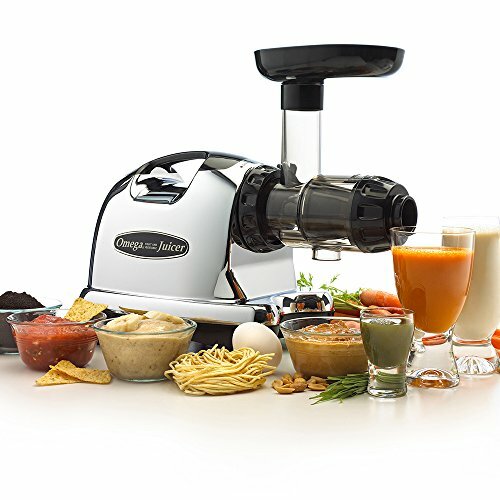 Amazon.com presently is providing a good price on the Omega J8006 masticating juicer along with a possible offer of free super saver shipping. Compared to every other online e-commerce portal, Amazon seems to be the best place to buy this juicer from. 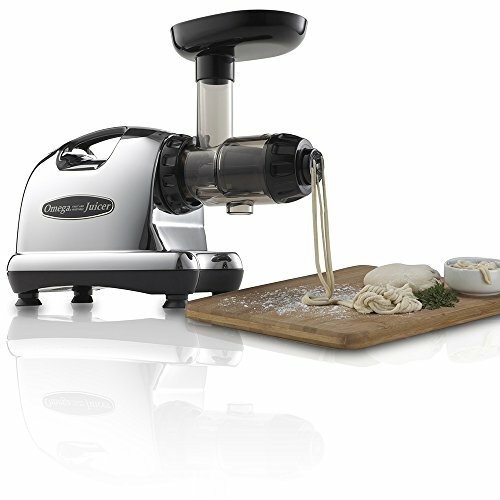 Pros: Built from the strongest materials available, a Juggernaut among juicers, it won’t complain ever regardless of what one juices in it. Cons: Requires immediate cleanup and the noise is something of a bother early in the morning. Measures 14.5 Inch by 6.5 Inch by 15.5 Inch and weighs under 18 pounds. Powerful torque and low speeds at 80 RPM. Zero clogging, foaming and heat build up. Quite operations and dual stage juicing system.